Things have been a struggle since returning from Washington in early August. Both Julianne and I have had to readjust to new work schedules and challenges, including longer hours, especially for me. We also took another road trip to Connecticut on the other side of the country for another family visit. As a result of this and other challenges in life, my progress has been stalled but not thwarted! I weighed in this morning at 409.2, which is a 7 pound gain, but not nearly what I thought it would be. 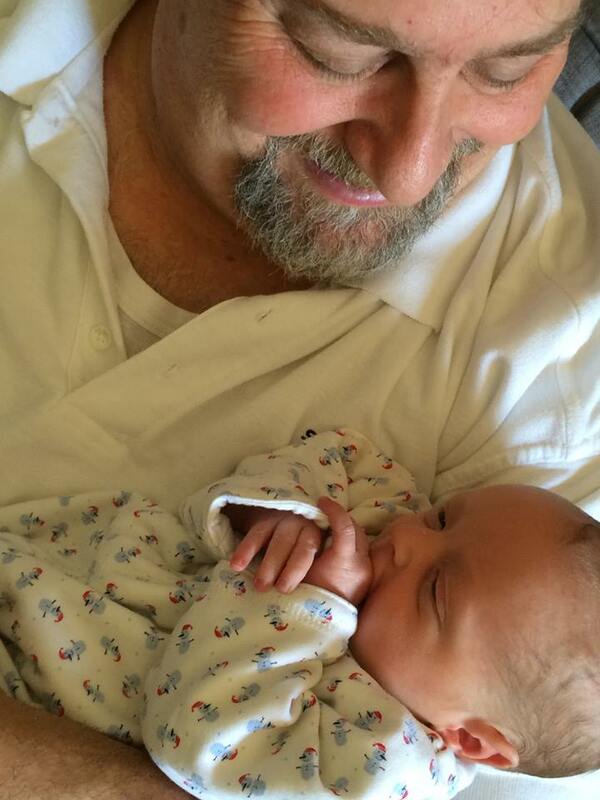 As I mentioned above, we went to Connecticut last week to see our new grandson who was born on August 31. We were excited to see him and generally had a good time on this long road trip with our daughter Marissa and her children. 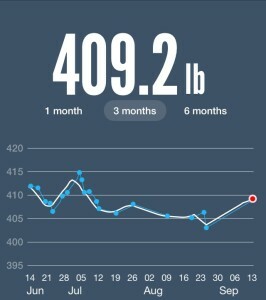 Of course, I will still battle to get under 400 and thus my 50 pound mark. I will make it. 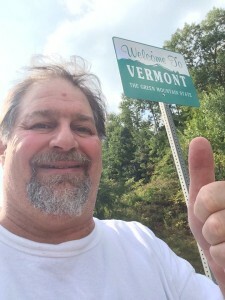 The trip offered me another great opportunity – we made plans to drive up to Maine and across New Hampshire and Vermont while up in the Northeast. 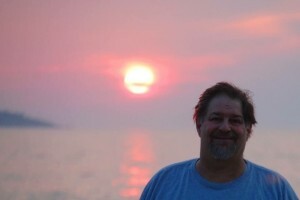 Doing this got me to my 50th state visited and I had hoped to have lost my 50th pound as well. But road trips, food on the road and family functions sometimes derail the best of hopeful intentions. It was a fun incentive hoping to be able to say that I was at my 50th state on the same day that I finally had gotten 50 pounds down. This would have been a case where a 50/50 split was a double win! But, it didn’t happen. 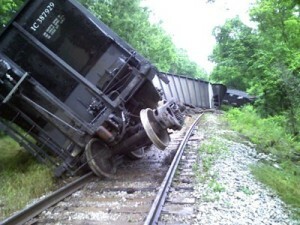 And, for the sake of being transparent and honest, I’ll fill you in on how derailment happened to me (and my wife). It happens. But derailment doesn’t mean failure or quitting. So, the end of July and pretty much the entire month of August and half of September have resulted in derailment, back on track, derailment, busy schedules and eating out more. 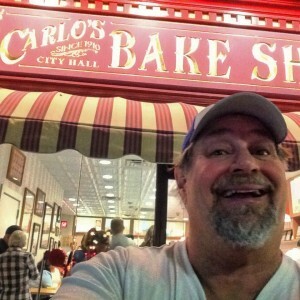 Derailment- means donuts and means a cannoli at Carlos Bake Shop in Hoboken, NJ (famous for the TV show Cake Boss). Don’t get me wrong here. We did not indulge in these yummy, sweet things every day. We still tried to eat well. 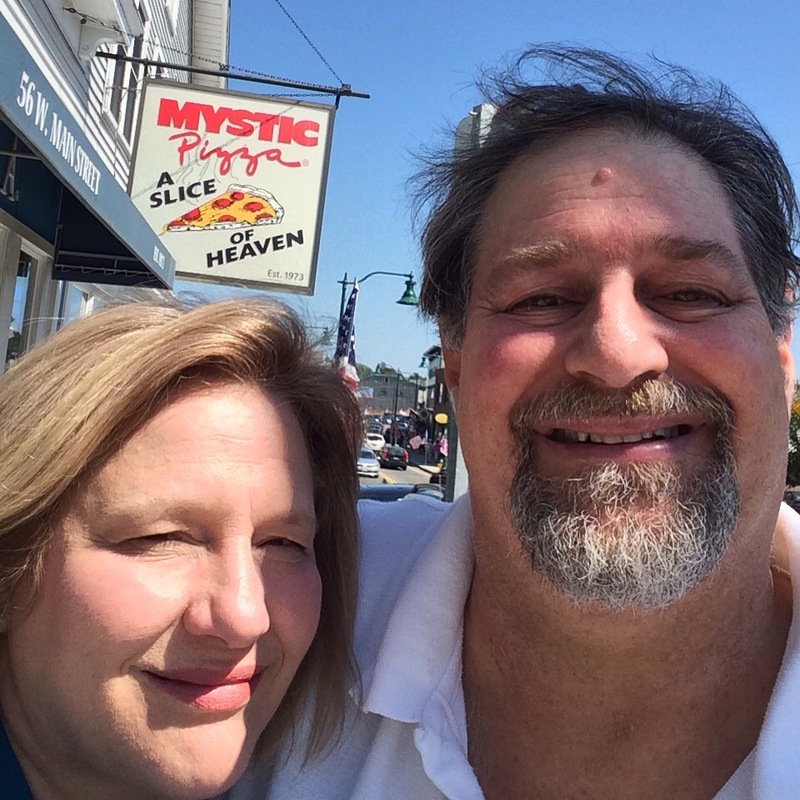 In fact, we went to the town of Mystic, Connecticut (famous for the movie “Mystic Pizza“) and skipped eating pizza (though we stopped for a photo op). Instead we went closer to the track (literally – the place was next to the Amtrak station!) 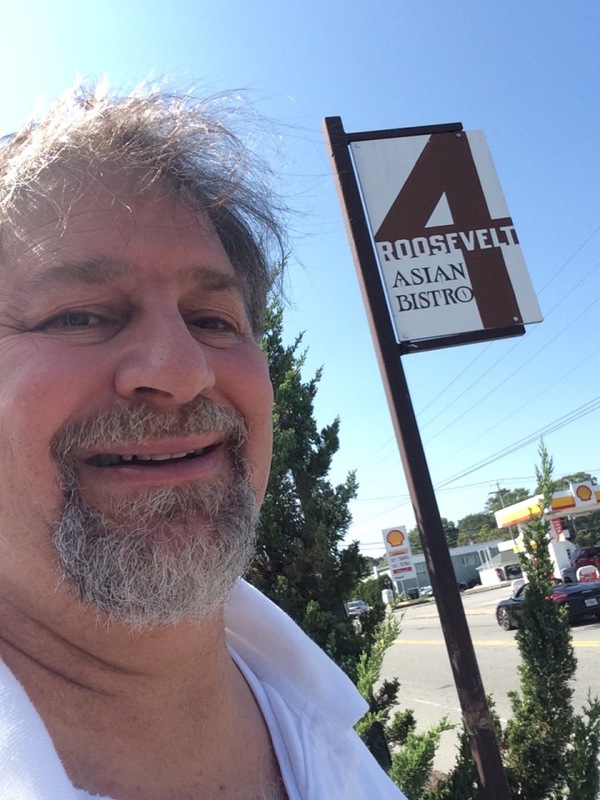 by eating at an amazing Thai place called 4 Roosevelt Asian Bistro. They had plenty of vegan and whole food offerings. 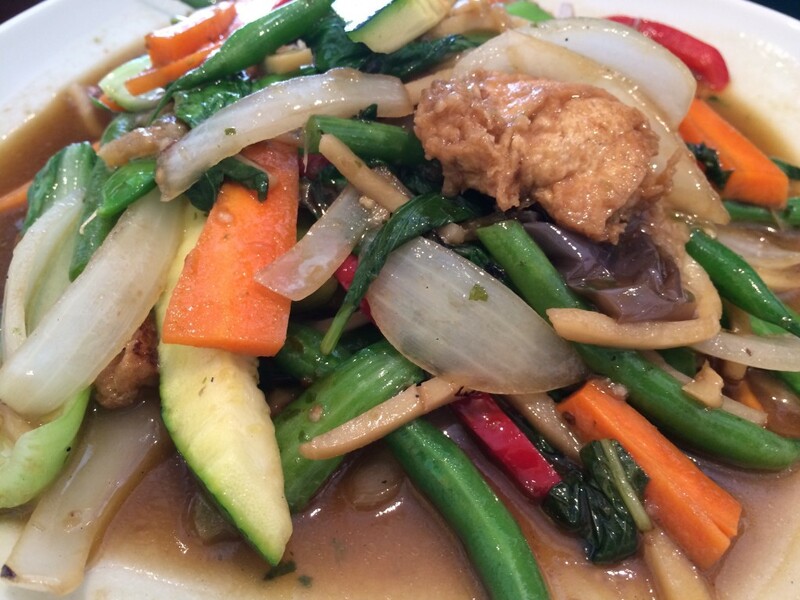 I had a good & spicy tofu Pad Thai and Julianne had a completely vegetable stir fry over rice. Both were amazingly good…see below. It was fabulous! 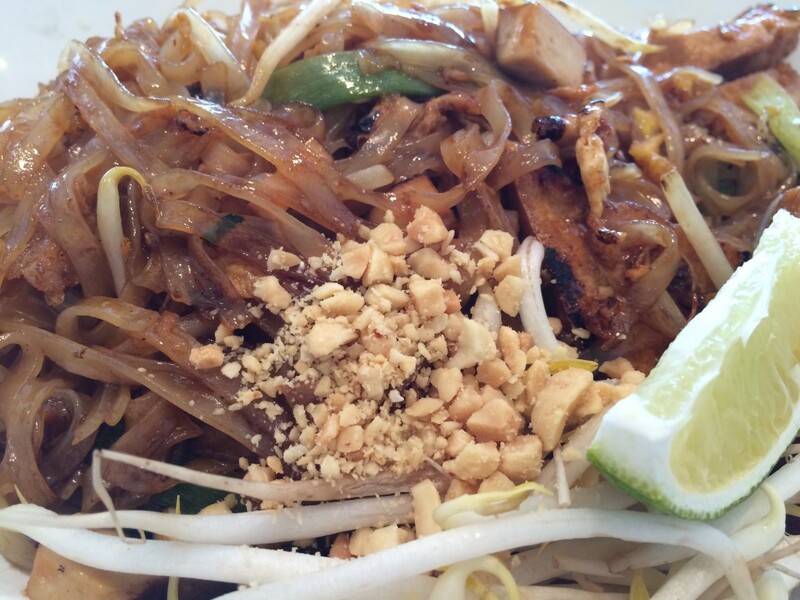 If you get to Mystic, skip the pizza, get the Thai! Mystic Pizza…we skipped it. Had Thai instead. The dynamics of a true weight loss, health increase program, are multifaceted. The obvious things including diet and exercise are not the only impacts on one’s weight and health, as we have discovered in the last couple of weeks on this trip. “The switch has been tripped. And it’s much harder to switch it back off than it was to turn it on.” Though I don’t adhere to the philosophy of “cheating” or “rewards,” but rather making better eating choices versus poor eating choices (its all food…), I do TOTALLY see Chuck’s point about the Fat Switch. 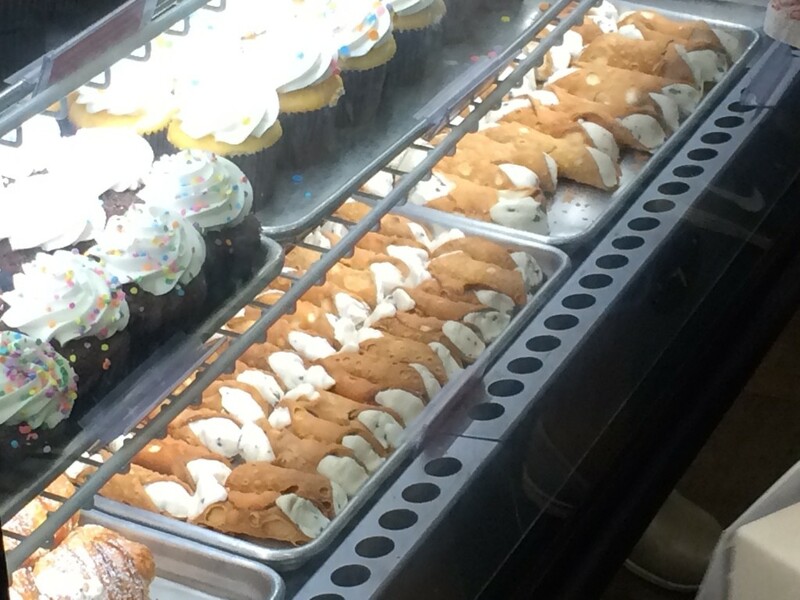 Once you get off the main track, it becomes easy to rationalize, to savor those sweet donut bites, that gooey cheesy pizza or that creamy cannoli. 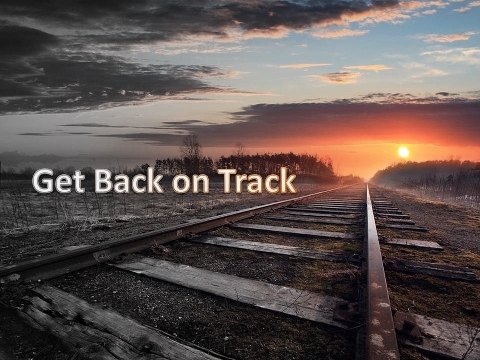 Ultimately, what I have learned is that the “Right Track” is a disciplined routine. Vacations throw you off routine. Road trips throw you off routine. New work schedules throw you off routine. When I look back to May and June, I experienced my best success because I had a routine and regimen down. 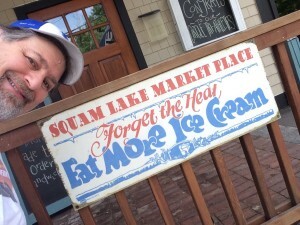 Indeed, after this roller coaster off-track ride, we both see the light on routine and the “Fat Switch.” On Saturday we went shopping and piled up on fresh veggies again. We are now working to establish a revised routine based on our currently packed schedules. And today was Bountiful Baskets and our order went in for more fresh veggies and fruit. We have also determined to not eat out but once a week (for date night). 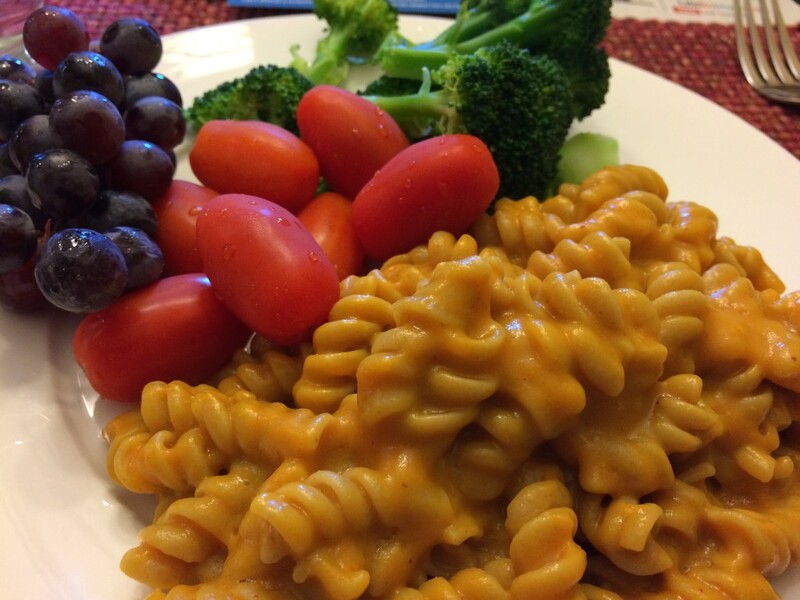 Tonight we had a fabulous “Mac and Cheese” dinner (thanks to one of the many wonderful recipes on Brand New Vegan, where the cheese was replaced by a concoction of golden potatoes, carrots, onions, nutritional yeast and some smoky paprika (see his recipe for the cheese sauce). The “Mac” was whole wheat rotini. It was amazing good! We are getting back on the track again and things will back on the mend in terms of the “Downhill Climb.” Get diet back in control and get an exercise routine in place and we will totally be back on track to a healthier lifestyle. Here’s to getting back on track! Glad you found my article helpful! #10 grandbaby is adorable, of course. Here’s to the cooling of the year, and easier walking. I love your optimism about pushing forward even if there are occasional setbacks. Way to go! !